As a get older I enjoy foods that have a little zip to them. That is what I wanted to go with my naan from my last post, something that had a little spice to it. I decided to go with pork, so I used spices that I have used for chicken in the past. This flat bread served with the spicy pork worked out very nicely. The pork was not too spicy, but had just a touch of spice to it. I served it with some fresh tomatoes, onions, and slices of avocados. We all enjoyed the sandwiches and I am sure that this will be on the menu again soon. Place the spices and herbs into a small bowl add the olive oil and mix well. Spread the mixture over the pork roast. Place the pork into a slow cooker and add water just so the roast is not covered. Cook on low for 4 to 5 hours, take the roast of the slow cooker and shred it using two forks. 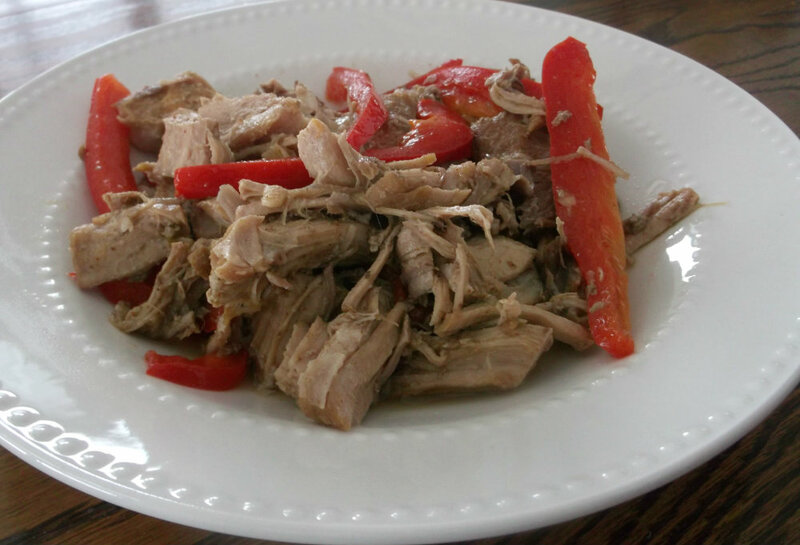 Place the pork back into the slow cooker and add the red pepper. Continue to cook for about another hour to an hour and half more, so the peppers have become tender. This can be served on flat bread or whatever your preference is. Top with you favorite toppings. It’s raining here today…this sounds soooo Good! I’m all about zip, too! Love spicy food. 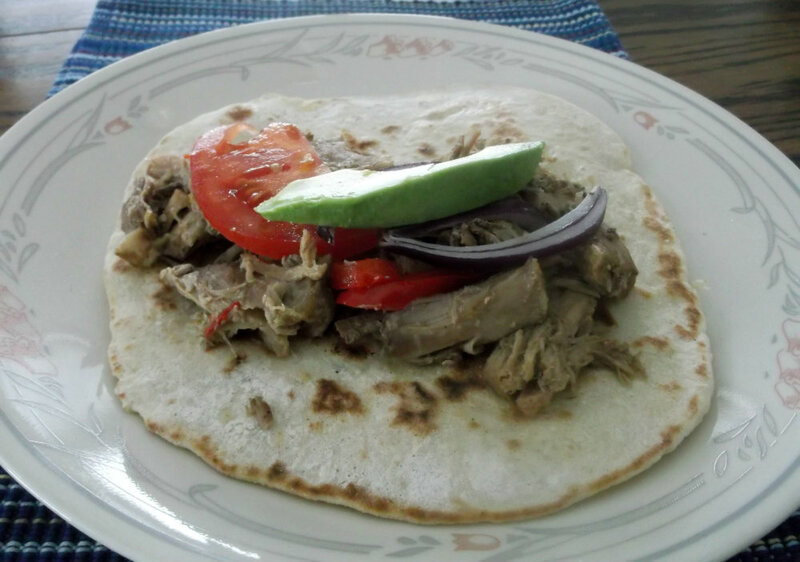 This pork look terrific – and I’ll bet it was super delish with your naan. Good stuff – thanks. 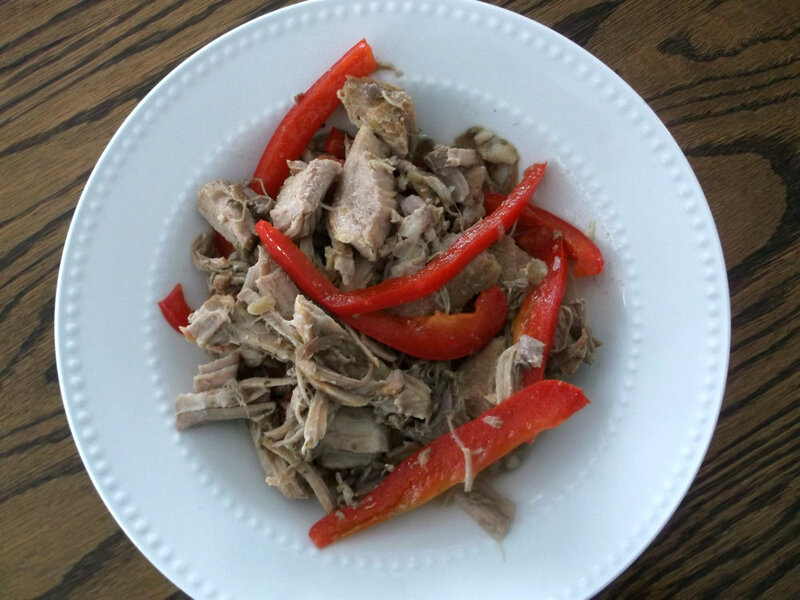 I love spicy food too – this pork looks and sounds excellent.